Press Release - American Crocodile Education Sanctuary/ACES - January 25, 2012 - Earlier this month Cherie Chenot-Rose, Research Biologist and Owner of ACES/ American Crocodile Education Sanctuary, was contacted by Jim Incledon, Creative Director and Cameraman for “Wild Productions Limited,” about filming the ACES team in action for an international wildlife rescue, research and conservation series. Excited to share their crocodilian conservation efforts here in Belize, Cherie and Vince Rose, husband and ACES Croc Behaviour Expert, said of course! 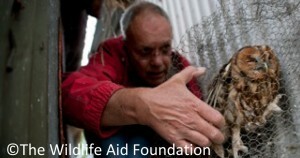 The series is titled “Wildlife SOS” and will air later this year on Discovery Channel’s Animal Planet. rehabbers face around the World, including animal cruelty, illegal captivity, habitat destruction, and the illegal poaching and sale of protected animals and their parts. One episode will focus primarily on the crocodile conservation efforts of ACES on Ambergris Caye. 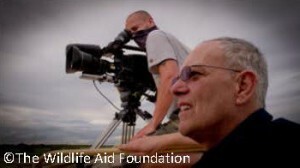 The film crew will then accompany Vince and Cherie to Punta Gorda to document the tragic turn of events that took place on September 5, 2010 and the arson of ACES. They will rescue any remaining crocodiles for relocation to the new ACES Educational Croc Eco-Sanctuary at Caribbean Shrimp Farms, Ltd. in Ladyville. Filming in Belize will occur this February and will hopefully also focus on other wildlife rescue organizations and conservation efforts throughout the country. Cherie Rose is the local production coordinator and liaison between Wild Productions and the Belize Film Commission. For more information contact Cherie at [email protected] or 666.3871.